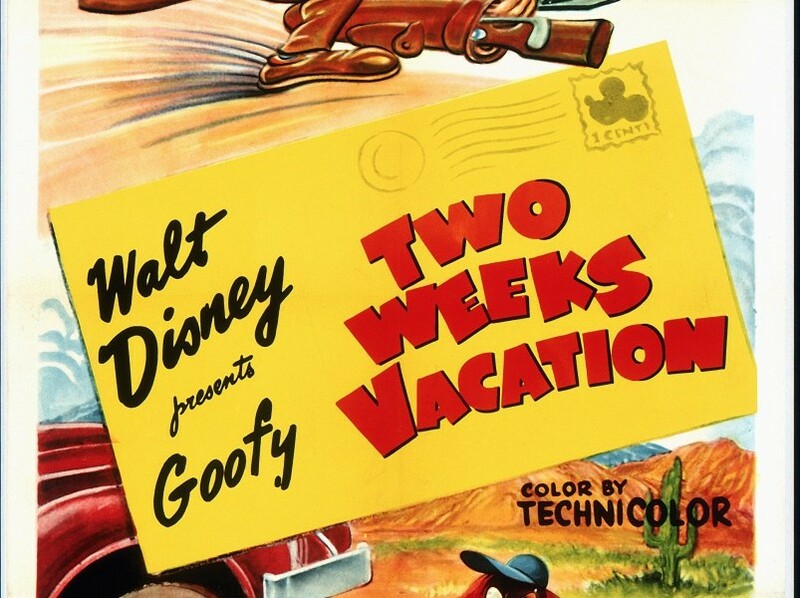 Two Weeks Vacation (film) Goofy cartoon; released on October 31, 1952. Directed by Jack Kinney. Goofy goes on his vacation but gets tangled up with a trailer and has various other mishaps until he ends up peacefully in jail.